The shotgun as a firearm that has a well-established place in the world of sports shooters, hunters, and professionals around the world. For many of these good people, having the right shotgun shell vest is important to their sport and professional needs. There are many different types of these vests on the market, with all kinds of materials and suitable for different seasons. Some hold more shotgun shells than others and have room for other items, such as wallets, cell phones, first aid kits, hunting knives, and flashlights. Shotgun shell vests store shotgun shells to use while shooting for sport or hunting. That also includes tactical purposes. They also are useful in keeping warm or cool, and as protection against rain, sleet, or snow. There is a wide selection available overall, so finding the right shotgun shell vest for you and your needs should not be too much of a challenge. You just have to know what you’re looking for. Shotgun shell vests usually come in a range of different types. Some of these vests have various colorings to blend with natural surroundings. There are camouflage colored vests to stalk prey unseen or to hide in a tree. All in all, people choose from several main types of shotgun shell vests that vary by color, style, and function. Hunters use the hunting vest for protection when out in the bush or the field. They provide a way to carry certain necessary items in some cases, such as additional ammunition and items like hunting knives. Featuring multiple pockets in many models, they are often 100% cotton, leather, rubber, denim or other materials. Certain types are 100% waterproof. Other hunting vests are insulated with materials, such as Thinsulate, and are suitable for winter weather. One way to protect from being accidentally shot by other hunters when by yourself in the woods, is to wear orange-colored gear. It’s a great way to ensure other hunters see you in the dense foliage that otherwise would conceal you. Many times, one of the easiest ways to use orange coloring for hunters is to use a simple orange hunting vest. Many versions of this type of vest are available, some with only patches of orange. Featuring many of the same benefits found in other vests, you can carry ammo and protect yourself from gun recoil. These vests also guard against inclement weather and keep you warm and dry. For those sportsmen and women involved in the clay shooting sports, many shooters need a vest that resists the recoil of a shotgun. Additionally, a shooting vest needs pockets or pouches that hold additional rounds of ammo for easy access. You can find shooting vests in a wide variety of materials, and some have open arms to allow a free range of motion. That is especially important when shooting flying clays. This style of shooting vest is for shooting range or hunting in the woods, and many models offer waterproof materials and easy zippers. Some have game bags built into them that are suitable for carrying out small game bagged on hunts. Most of this model of vest features extra pockets and ammo pouches to hold additional ammunition. Like all these vests, you can get them with all kinds of different features depending on the manufacturer. 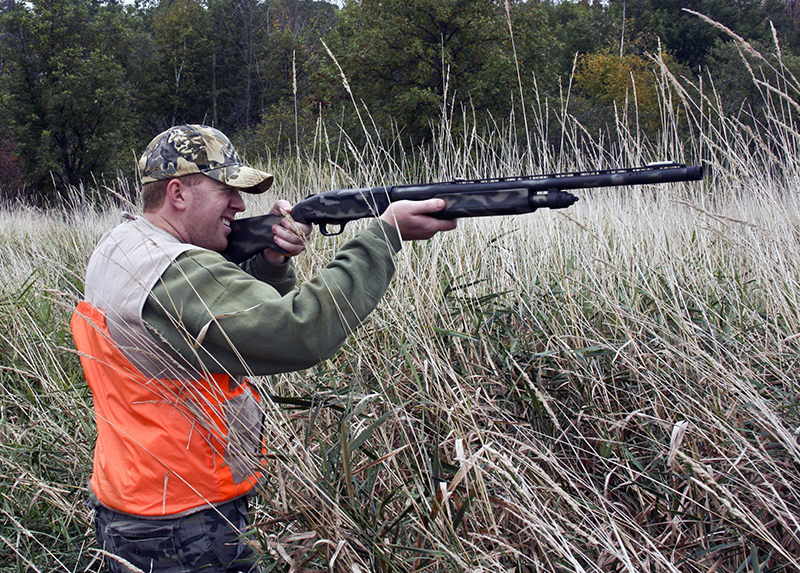 There is a wide selection of upland hunting vests, which typically feature two tones — brown and orange. 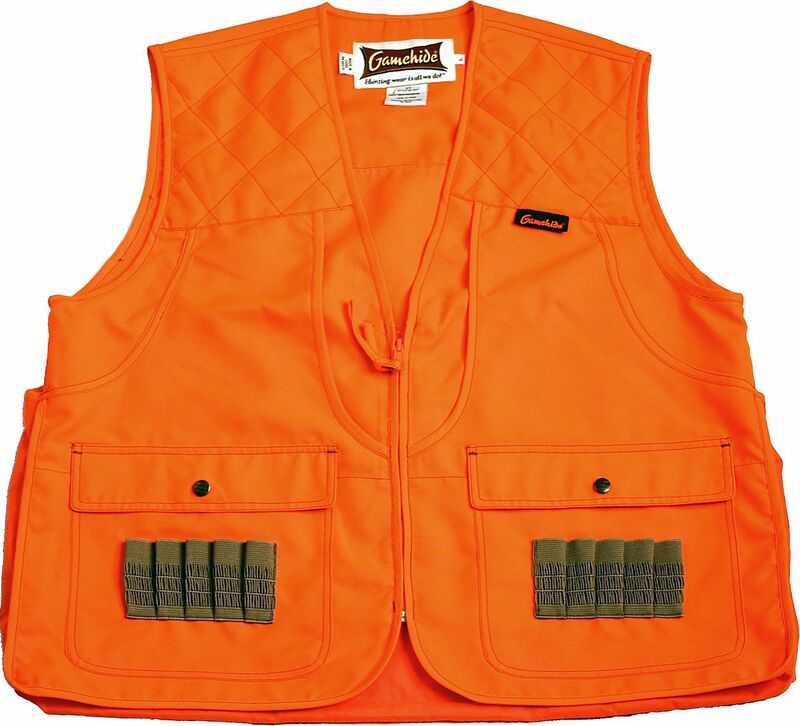 These signature vests are a favorite among hunters and sports shooters. As a bonus, they have an attractive, simple design. Every sports shooter or hunter has different needs, and not all shotgun shell vests are created equal. If you are hunting, for instance, you may decide that stalking your prey unseen is more desirable than sticking out like a sore thumb. In that case, you may choose camouflage vests over the bright orange variety. You may want a vest that is insulated and waterproof so that you will stay warm and dry. Or maybe a lighter vest to stay cooler in the summer months. Evaluate your individual needs carefully and compare them to the features listed. Keep an eye out for sales, and pick the ones that you feel will match what you require more than the others. Style and appearance may also factor into your decision. In that case, consider a mix of looks and functionality.